Debate and controversy, surrounding the potential cell phone health risks, have grown new legs in the last decade. Fill the world with millions of portable radio wave emitters and some people grow jumpy. Technically speaking wireless hand held phones emit low levels of radio frequencies (RFs) into the environment around us. The culprit for most emissions is the phone’s antenna, internal or external, which sits very close to the user’s head when used as a hand-held device. To understand the proposed health and safety risks you must understand the basics of wireless communications. Electromagnetic radiation is a complex topic for most typical consumers to dip into too deeply. The very term “radiation” sparks fears. All types of electronic devices, particularly those that run on radio waves, emit levels of radio frequencies. The rates at which these frequencies are absorbed by the human body are measured by the Specific Absorption Rate (SAR), a number assigned to every model of cell phone sold in the U.S. The acceptable SAR rate is anything under 1.6 watts per kilogram. Confused? You’re not alone. The Food and Drug Administration, in concert with the Federal Communications Commission, controls the flow of most mainstream consumer information in the U.S. on this topic. Both agencies maintain closely allied policies on the matter: as far as scientific studies show the kind of low-level RFs released by cell phones seem to pose no significant health risks, but further research is necessary. You’ve likely heard a scare story—that someone’s cell phone gave him or her brain cancer. Stories like these surface occasionally in mainstream media only to impel yet another round of short-term studies. Scientists and researchers are constrained by limited studies that bypass theoretical scientific research, which is most successful when carried out over the long term. The only conclusive argument is that further studies on cell phone emissions are necessary. The mixed sentiment from the FCC and FDA drives other sources such as Consumer Reports to recommend consumers take safety precautions with cell phone products and educate their children on the potential risks. But to what sources do you ally yourself? There is a cacophony of information on cell phone emissions, RFs, and SAR metrics. Learn to employ critical thinking to everything you read and hear on the subject. Even the FDA—an authority figure—waffles on the subject of cell phone emissions. You must learn to tiptoe your way through the minefield of outlandish “medical” allegations, scientific aberrations, inconclusive research projects, and even crackpot urban legends that prey on human fears. recommendations that we should be using a speakerphone or ear piece. The report says children, who have thinner skulls and developing brains, should use cell phones only in case of emergency. And heaven forbid anyone should carry a cell phone in a pocket or clipped to a belt. “You’re just roasting your bone marrow,” Davis said. Oh, boy. Another thing to worry about. Or maybe Davis is an alarmist. It’s so hard to tell. 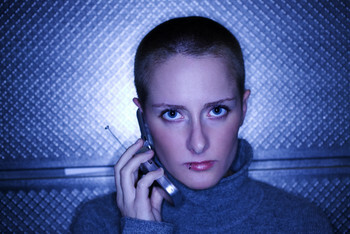 Although there are many large studies showing no connection between mobile phones and cancer, there are a few that do. As Davis puts it, do you really want to play Russian roulette with your head? But if you do buy the cellphones-cause-cancer argument, you have to figure out the best way to talk on a cell phone, seeing as how most of us can’t live without them. Should you use the wired headset that came with your phone? A Bluetooth earpiece? iReport.com: Does your kid have a cell phone? I embarked on a journey this past week to answer these questions and at many points have been very sorry I did. This is the mother of all “the jury is still out” issues. Cell phones have been wildly popular for only a matter of years, and it can take at least a decade for cancers to show up. Studies contradict each other, and scientists bicker: Some will tell you with great conviction that there’s nothing to worry about. Others will tell you with equal conviction that an epidemic of brain tumors may be just around the corner. The cell phone industry itself says “the overwhelming majority of studies that have been published in scientific journals around the globe show that wireless phones do not pose a health risk.” You can this week.So what are we all to do until they figure it out? After enough interviews with physicists, engineers and doctors to make me want to stick my head in a microwave oven, one common line of reasoning emerged. Cell phones do emit radiation. No one knows definitively whether it’s enough to worry about. Mobile phones meet federal safety limits, but if you’re still worried, there are some simple steps you can take to lower your exposure to radiation. 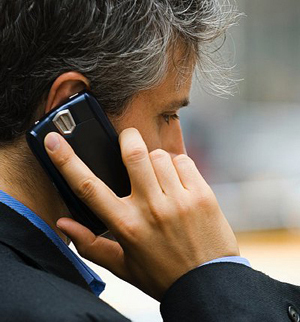 How Much Cellphone Radiation Are You Getting? About 4 billion people worldwide use cellphones. Researchers have been debating for years on whether the radiation from cellphone use leads to health hazards such as cancer and other illnesses. Perhaps, in no greater proof of how hot the debate is, infomercial peddlers such as Kevin Trudeau and television doctors such as Andrew Weil have declared that cellphone use are one of the risk factors for brain cancer. Researchers are divided on whether radiation from cellphones poses health risks or not. Now, one non-profit organization adds some hard data to the argument: the radiation emission profiles of more than 1,200 cellphone models. The data won’t resolve the debate, but does give concrete information to consumers to help them make their buying decisions. 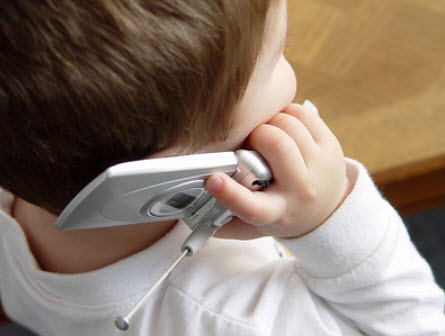 American cellphone radiation standards don’t make enough of an allowance for safety and ignore the impact of electromagnetic radiation on children, says the Environmental Working Group, which analyzed the radiation emissions from 1,268 cellphones. The group also looked at a number of recent research studies and supporting documentation from the handset makers to arrive at its conclusions. “We think that based on current standards there’s increased risk of developing brain tumours in long term users — people who have used cellphones for more than 10 years — from radiation in cellphones,” says Olga Naidenko, a senior scientist at EWG, who worked on the report for about 10 months. The group has created a database of feature phones and smartphones that lists the maximum radiation each of the devices emits. “We want consumers to take steps they can take to minimize potential risks,” says Naidenko. More scientific studies have tried to assess both short term and long term impact of cellphone usage. Yet there has been no conclusive evidence so far. That’s because earlier research studies didn’t have a pool of users available who had been on their cellphones long enough, says Naidenko. “A lot of the studies that came out in 2000 and 2001 only looked at short term exposure, which is about four to five years and they didn’t see any risks from radiation,” she says. 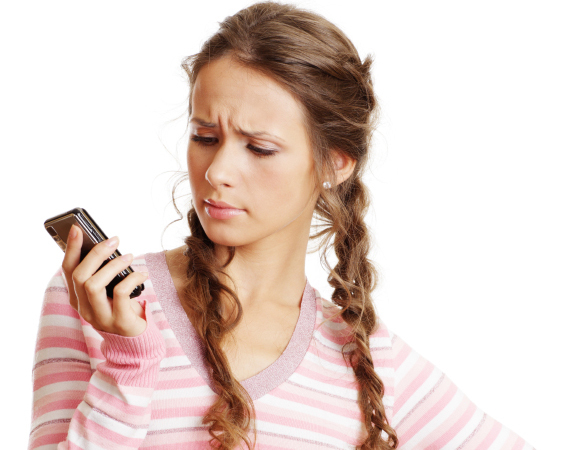 “But now that we see results from long term studies, we are seeing more evidence to the contrary.” Still Naidenko says the EWG’s data doesn’t conclusively prove a link between cellphone radiation and health risks. Until the evidence will prove with many cancers examples the actual situation will go further. It is now inconceivable that our world could function without the 5 billion cell phones used globally. The new book by Devra Davis “Disconnect” deserves your attention. Indeed, if you use a cell phone a lot it should be mandatory reading. It also seems inconceivable that the trillion dollar cell phone industry and governments worldwide could have pushed this technology without ever having solid research results proving the safety of cell phones. If true that would be deadly frightening. But that is exactly the reality. Is this a bizarre slip up or an intentional conspiracy between corporate and government interests? The more you learn the more you fear. Nightmarishly, cell phone technology has become too big to fail, no matter its deadly risks. Government won’t protect you, so you have to protect yourself. Let me note that I rarely use my cell phone. Very few people have my number and I rarely turn it on, except when I need to make a call. As a former professor of engineering I have always seen technology as offering risks, not just heavily commercialized benefits. The risks are often dismissed, poorly studied or just plain ignored. And by now everyone should be concerned that neither government regulations nor corporate responsibility protect us very well from harmful foods, prescription drugs and manufactured products. Facing the truth is often painful, but if you care about protecting your health and the health of people you love, then this is a book you definitely want to read and get others to read. Make no mistake, what you learn will upset you, but beyond getting angry at companies and the government for not adequately protecting against a man made public health disaster, you will be motivated to change your behavior. The subtitle sums up the theme: The Truth About Cell Phone Radiation, What the Industry Has Done to Hide It, and How to Protect Your Family. Here are some of the eye-popping facts and insights I picked up from reading of this book. Tests show young men who keep their phones in a pants pocket have reduced sperm counts. The world today is driven by technology. And the youth is at the helm of this technology revolution. This generation relies on technology as heavily as it relies on air for breath. Technology driven communication avenues such as cell phones, social networking websites, chatrooms et al have brought the world to the fingertips of the youth. And the one technology tool at the forefront, considering the frequency of its usage, is the cell phone. The cellphone today is a lifeline for many. It is estimated that around 4.5 billion people use the cellphone worldwide. And it comes as no surprise that a huge chunk of this quantity consists of the youth. The cellphone is more of a necessity for them than a luxury. Umpteen number of surveys conducted on the youth worldwide have figured out that they consider cellphones an integral part of survival and some have even gone to the extent of saying that they would rather go without food for a day than without their cellphones. With constant texting, calling, listening to music, playing phone games or simply fiddling with the phone being such an integral part of their lifestyles, it is little wonder that not having it around strikes them with paranoia. However, as is said, excess of everything is bad, it holds true for cell phones too. They do come with their share of cons. The most devastating ill effect caused by cellphones is the electromagnetic radiation that they generate. And the most concerning fact is that medical research on the health hazards caused by cellphones is being carried out at a much slower pace than the rate at which cellphone features and technologies are progressing. And as such prolonged usage of them, especially by the youth, are bound to affect their well being. So far, there has been no conclusive evidence that electromagnetic radiations caused by cellphones cause cancer, tumors and other deadly diseases of the kind, but there have been enough studies and researches that have been conducted to raise eyebrows and suspicions on the same. Prolonged usage has been shown by studies to cause extreme fatigue, high blood pressure, increase of heartbeats and warming of the brain cells, which in no way can do good to the human body. Another major ill-effect associated with the cellphone is addiction to it which can directly translate into a clumsy personality. Constant usage of the cellphone by the youth devours up the time that they could have otherwise devoted to quality work, leading to inefficiency and lesser mental participation at work. Also it leads to lesser physical activity, as most of us would prefer curling on a bed and talk our hearts out with someone rather than take a stroll on the nearby park. This is also a cause, if not a major one, of rising cases of obesity among youth. It is an acceptable fact that everyone has a social life and it is indeed fun to talk to someone(or text) over the cellphone about the happenings in our social circle, but it is indeed not fair to our health if we are social to the point that we cannot even imagine a day without that handy lump of metal that facilitates this social communication. So to the ones who are battling cellphone addiction, I am hoping this article helps you break free from the shackles of this destructive dependence, considering the damage that its prolonged usage causes to you. Use the cellphone judiciously. It is a tool of communication, and let it be just that! When it comes to children and teenagers, there have been nearly a dozen countries around the world issuing warnings about the health risks to children and teenagers using cell phones. France is in the process of making it illegal to market cell phones to children under the age of 12. The Unite Kingdom, Germany, Belgium, Israel, Russia, and India have advised that children should have their use of cell phones limited or used only for emergencies. Finland’s Radiation and Nuclear Safety Authority are saying that radiation from cell phones could be a health risk, but research as to the effects of prolonged use is still unclear. 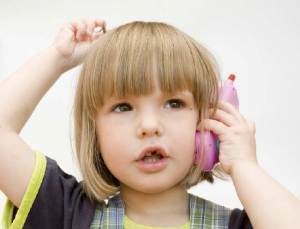 In Russia, it has been recommended that children under the age of 18 should not use cell phones at all. There are numerous studies in progress around the world. And newer studies are on the rise including a 10-year study on the effects of cell phone radiation on laboratory rats that will be conducted by the National Toxicology Program as part of the National Institute of Environmental Health Sciences Office of Communication in Raleigh, NC and who were selected by the FDA. The results of this study are expected to be published in 2014. The particular Cell phone Brain Tumor types that scientist are addressing in research studies are gliomas, meningiomas and acoustic neuroma. Gliomas are most often fast growing cancerous tumors such, but they can be benign or slow growing. A glioma is a central nervous system (CNS) tumor with the most common site involving the brain, but it can also affect the spinal cord or optic nerve. Several studies show evidence that development of a glioma increases with years of cell phone usage. Meningiomas are tumors that arise from the membranes that surround the brain and spinal cord. The majorities of these types of tumors are non-cancerous and only rarely are they cancerous. Acoustic Neuromas are non-cancerous tumors that develop on the nerve that connects the ear to the brain. These types of tumors usually grow slowly and as it grows there can be hearing loss and loss of balance. Sometimes the tumor can press on the brainstem and in rare cases it can grow large enough to compress the brainstem and create a life-threatening situation. As part of many studies, the research is on the connection between development of a brain tumor due to cumulative effects from repeated exposure of cell phone EMFs to one side of the head. This is referred to as ipsillateral exposure. Most people favor using their cell phones on side of the head instead of switching back and forth. As a consumer you have to ask yourself, if there are no risks or danger, why have the instruction manuals of some cellular phone manufacturers include warnings stating in some of their instruction manuals that you should keep the Cell phone pointed away from your body as an example the Nokia 1100, Apple iPhone, and Motorola V195, GSM, and BlackBerry 8300. Further, you would also have to presume that there must be some risk involve, since there are a number of Wireless Protection Products that are out on the market ranging from Air Tube head sets, Radiation Pouch Shields, Cellular Shields, absorption pendants, and the list goes on. Although not as prolific as Cell phone Accessories, as more information about the risks of cancer and cell phone use emerges, more EMF Protection Products will appear on the market. While it may be a number of years before some consensus is arrived at on the effects of RF Emissions From Cell phones and their link to brain cancers, there are some basic precautions that can be taken. • Limit calls to 2 minutes or less. • Leave phones off when not in use. • Use the speakerphone when having a conversation. • Don’t put a cell phone in your pocket or belt in the on mode. 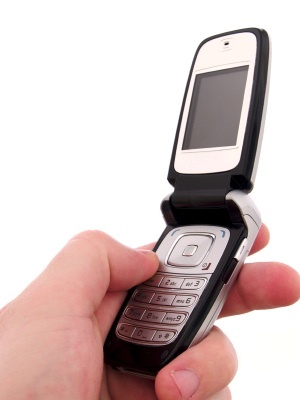 • Do not use a cell phone in enclosed metal spaces such as vehicles or elevators. • Do not make a call if the signal strength is one bar or less. • Buy a cellphone with a low SAR (Specific Absorption Rate). We are all exposed to some amount of radiation just from being on this planet. This is known as background radiation. For most people, background radiation accounts for most of their exposure to ionizing radiation during the year. It comes from several different sources. Cosmic rays: Cosmic rays are radioactive particles that hit the earth from outer space. They come from the sun and from other stars. The earth’s atmosphere blocks a portion of these rays, but some of them reach the ground. Because the atmosphere blocks some cosmic rays, exposure is greater at higher altitudes. For example, people who live in Denver, Colorado, which is at a high elevation, are exposed to slightly more cosmic rays than people living at sea level. People are also exposed to higher levels of cosmic rays during airplane flights. Airline pilots and flight attendants, who spend many hours at high elevations, are exposed to more of these rays, but it is not clear if they have an increased risk of cancer because of it. Radiation in the earth: People are also exposed to small amounts of radiation from radioactive elements that occur naturally in rocks and soil. Some of these may end up in building materials used in houses and other structures. Tiny amounts of radiation may even be found in drinking water and in some plant-based foods as a result of being in contact with the soil. For people who smoke, tobacco can account for a significant portion of the yearly radiation they receive. Radon: The largest source of natural background radiation for most people is radon. This is an odorless, colorless gas that is formed from the breakdown of radioactive elements in the ground. Radon levels are usually higher inside buildings and homes, especially in levels closer to the ground such as basements. Radon levels can vary a great deal, depending on where you live. For more detailed information on radon and its possible health effects, see our document, Radon. Ionizing radiation is used in the diagnosis and treatment of some medical conditions. This can be in the form of radiation that penetrates from outside the body, or radioactive particles that are swallowed or inserted into the body. The increased risk of cancer from exposure to any single test is likely to be very small. Still, concerns have been raised in recent years as the average amount of radiation a person is exposed to from medical tests has risen. Children’s growing bodies are especially sensitive to radiation. Because of the very small but real risk, and the fact that radiation exposure from all sources can add up over one’s lifetime, imaging tests that use radiation should only be done if there is a good medical reason to do so. The usefulness of the test must always be balanced against the possible risks from exposure to the radiation. In some cases, other imaging tests such as ultrasound or MRI may be an option. But if there is a reason to believe that an x-ray or CT scan is the best way to look for cancer or other diseases, the patient will most likely be helped more than the small dose of radiation can hurt. Next to the thermal effect is non-thermal effect, in which keeping the temperature generated by radio waves constant we discuss only the electric current that passes through the cell membrane, while transceiving messages, and finally the genotoxical effect, which has been included in the discussion in 2006. Researches by Greek scientists, Panagopoulos DJ, Chavdoula ED, Nezis IP, and Margaritis LH (2007 Jan) claimed that there’s a casual relationship between cell phone radiation and DNA damage. Later a European study REFLEX had come up with some evidences proving the claim, but all the cases were found to have an exposure to mobile phone quite more than normal. Besides thermal, non-thermal, and genotoxial effects, there had been a long debate on ‘mobile phone radiations and cancer’. A list of studies supporting the claim and rest opposing has also been observed in this context. The other face of picture shows the effect of radio waves emitted by base stations. This is another sensitive issue as these waves are emitted continuously, and the increasing number of towers to expand the coverage with a relatively larger bandwidth. The recent reports claim harmful effects of radio waves on peoples’ health living near by the base stations (WHO database). Besides such kind of effect there may be some occasional hazards that may be caused by the ignorance or due to the demand of extreme perfection. For instance during maintenance, the base stations are not turned of, as it may present the network as an inefficient one. This sort of mismanagements would certainly have hazardous effects on the health of people come under the range of waves. Categorizing hazards may sort out the level of harmful effects generally but being specific to the use of mobile phones it may explore more avenues. The increased use of mobile phones due to technological progress and decreased prices as a result of low cost of production, contribute to the GDPs, but an alarming situation, ignored most of the time is children’s vulnerability to mobile phone radiations. Being an age group, which is in the process of physical and mental growth, they need extra care, but stringent work schedules of parent and the availability of mobile phones for their use may affect their mental and physical growth in any of the above-mentioned way. Over and above the facts unveiled earlier, there’s no regulation of services in the cellular networks. The problem may persist in a very low proportion in developed countries but the developing countries though being the biggest markets for cellular networks, are not provided the health safety measures, i.e. the use of cell phone in best possible way. Another alarm may persist in the form availability of low quality handsets in these countries, which are either not passed by any regulatory authority or if so, the authenticity of authority might have been questionable. The debate is all about the hazardous effects of cell phones on human health, but saying that cell phones are hazardous in totality won’t be fair enough. There’s nothing 100% in the world, and there’s always a room for improvement, and betterment, so is the case for cellular phone technology. We can’t leave it as well, but a fair better option is to keep a regulation and check on usage. Cell phone communication does include the emission of radio waves, which are absorbed by the bodies in one way or other, but it’s a hazard only for people with high exposure to the radio waves, i.e. extensive use. In order to have healthy masses it’s crucial to have regulation of all cellular activities, along with insistence on sustainable growth in the sector. The precautionary principle as recommended by WHO can also be a good measure, but as the sped up life can’t exclude cellular technology from its sphere, further research on hand-off and blue tooth can be innovative and more sustainable measures. The sped up feature of day-to-day life and increasing demand for perfection in maximum possible spheres of life along with the ultimate desire of comfort and ease has lead us to the heights of development in contemporary times. All these factors are not only the driving forces of economic development round the globe but also the speedometers of standard of living in a particular region, country or area. The only thing that deploys the essence of this development is the unavailability of sustainable growth. On one hand where we’re touching the skies of mega and cellular technology, we’re losing list of essentials, i.e. health. Setting cellular technology the theme of discussion let’s have an overview of it. One of the major examples of cellular technology, i.e. the mobile phone system is in question for a long time. Both the technology concerns and the social scientists had agreed to differ. And it’s still a vexed question. Cellular phone services being the easiest and fastest modes of communication have billions have billions of subscribers round the world. Even in developing countries where a major part of population is striving hard to satisfy basic needs, i.e. food and clothing, use of mobile phone have become a necessity for them. Mobile phones use cellular technology whereby the regions are covered by radio waves using a base station antenna as a transmitter and the handset as receiver. Cellular technology is the better option in a sense that it provides better coverage, increased capacity and reduced power usage. Both the digital GSM and the CDMA systems share this base. The point that’s been raised more by the social scientists and health concerns is the effect of radio waves on health. These radio waves are emitted by both handsets and base stations. With reference to the handsets, the effect of radio waves emitted by the cell phone communication, especially with specific reference to human health, can be categorized as, thermal, non thermal and genotoxical. Thermal effect is one whereby the electromagnetic field of radio waves induces polar molecules that generates dielectric heat letting the live tissues die. For instance some part of head, while receiving the message through radio waves if happens to experience increased temperature can have damaged nerve fibers.